Jantar Mantar is another masterpiece of Indian architecture made up red sandstone, which showcases the scientific expertise of yesteryears. The Jantar Mantar in Delhi is one of the five observatories built by Sawai Jai Singh II. 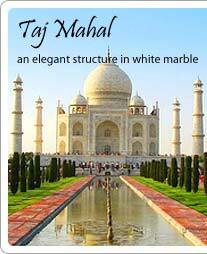 It was in the year 1724 and located on the Sansad Marg between the Connaught place and the Rastrapati Bhavan. The name of this is derived from Yantra mean instruments and Mantra meaning formulas hence together form the term Jantar Mantar. This outstanding structure consists of fourteen geometric devices used for measuring time, forecasting weather, tracking planets, predicting eclipses and finding extraterrestrial altitude. Mishra Yantra used to measure the shortest and longest days of the year. Ram Yantra is two circular buildings used to measure the altitude of stars. Samrat Yantra the accurate time of the day. Jai Prakash shows the sun’s position at the time of equinox. 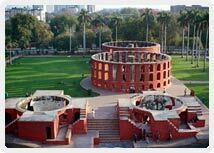 The Jantar Mantar is open daily from sunrise to sunset and there is no entry fee.